The Union BAP has 243 crew members, of whom 30 are women, who perform exactly the same tasks as all other sailors. The ship Navy of the Navy of Peru BAP Union is the second largest sailboat in the world, its structures are made of steel and its wood finishes, has a length (length) of 115 meters and its investment was greater than 55 million. Franz Bittrich Ramírez, the commander of this vessel, captain of the ship said that its construction was in charge of engineers and technicians of the Industrial Services of the Navy (Sima), in Callao, between 2013 and 2016. “It has four masts with four sails and that makes it the second largest sailboat in the world, the first one is Sedov (from the Russian navy),” the captain told Andina News Agency. 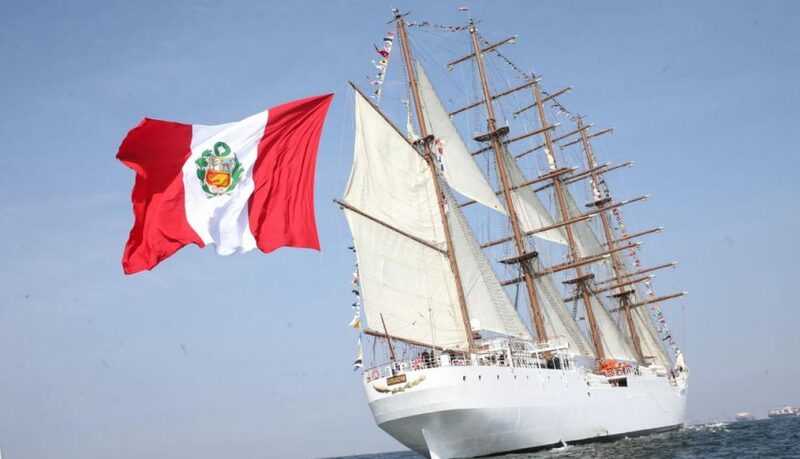 The vessel will set sail on his third training trip to Mexico this Friday, June 22, as part of the meeting called “Velas Latinoamérica”, along with other sailboats from several countries, all this as part of the celebrations for the Bicentennial of the Independence of Peru. The Union BAP has 243 crew members, of which 30 are women. His first trip was in 2016 when he toured America and the Caribbean. Franz Bittrich pointed out that in 2017 they arrived in the United States and then crossed the Atlantic Ocean. “We were in England, Germany, France, Spain, Portugal, and we returned by the route of Columbus through the Canaries, and then we arrived in Santo Domingo and returned to Peru,” he explained. The main function of this ship is to complement the training of the cadets of the Naval School, as well as to serve as an itinerant embassy of Peru in the world. Two US military ships collide near the US coast.